The main difference between shortening and lard is in the way that they are created, as lard comes from animal fat while shortening comes from a variety of oils that are plant-based. Lard is generally seen in the manufacturing of products while shortening is generally seen in the creation of food substances. Lard most often comes from the fat of a pig, but can come from duck fat or goose fat. Shortening, however, is often made out of the same plants that make popular cooking oils, such as soybean and cottonseed oils, although it has a much higher fat content. Since shortening comes from plant products and is easier to obtain, it is more popular in cooking applications. 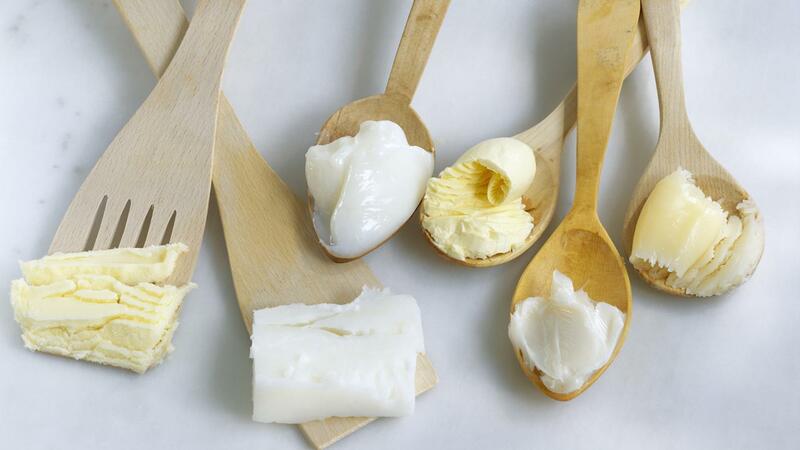 Though still used in cooking to a certain degree, the most common use for lard is in the creation of soap, or as an ingredient used to create biofuel for vehicles. Shortening is much more important in cooking because it is able to prevent the growth of gluten in wheat products which lard is not able to do. Additionally, as lard is an animal by-product it would be eliminated from vegetarian diets as well. What Substitutes Can Be Used for Shortening in a Biscuit Recipe?